I rarely enter any giveaways; because I am lazy and some of the giveaway requirements are just ridiculous. I hate to follow more than 5 people on all their social media. I easily have to spend more than a half hour to enter a giveaway, so thanks but no thanks, it is not worth it. But I did break my own rule for my dear husband recently. See how powerful love is? Anyway, I worked with firmoo.com back in May, you can read that post here. I also attached a few photos below. For those of you who are not familiar with FirmOO.com, they are an online seller of prescription eyewear with a SUPER REASONABLE PRICE! When I say reasonable I mean it’s quite possible to find a pair of under $50 prescription glasses with a very trendy look. I fell in love with their quality, good looks and super awesome customer service. It turned out I am not the only one. My husband somehow really liked firmoo, and he wanted a pair of prescription sunglasses. Well, my dear husband doesn’t ask for much and puts up with a lot, so how can I refuse? So he ordered and quickly got them. Not surprisingly, he loves them. So much in fact that he asked me if he can get another pair so he can leave one in his car and another in mine. We drive each pretty regularly so it’s not unusual to be in either when we go out. And it’s also not unusual that he sometimes forgets to grab his sunnies from his car when we head out in mine and then he’s squinting for the rest of the day. So, he reasoned, if he had a second pair, he will never run out of sunglasses. At first I felt it was such a ridiculous idea. Crazy talk in fact! But after sitting in my walk-in closet which he built for me, looking around at my countless clothes, designer sunglasses, shoes and purses I got to thinking, well, maybe he had at least a small point. Of course, I didn’t tell him he might be right. That information is always on a “need to know” basis and can be dangerous in the wrong hands. So right before I gave him the OK, I found two Firmoo giveaways on some of the blogs I follow. Now if I could win a second pair of glasses for him I would both save some money AND since I would then in effect be giving my husband a “gift” he would naturally want to reciprocate. This now sounded more like a win-win so I broke my own rule and entered the giveaways. By the way, they were actually pretty easy giveaways to enter so that made it a lot less painful. And a few days ago I was notified by dear Ada from eleganceandmommyhood to tell me that I won the giveaway! Yay, this was my first win! So exciting! The awesome Firmoo folks remember me too and asked if we can work together to run a giveaway on my blog as well. Hmmm, I don’t know, let me think…oh who am I kidding? How about Hell yes! Maybe now somebody, and it could be you, can have a chance to make their husband, kids or maybe just their self a little bit happier by winning some cool glasses. Remember, I hate very complicated giveaways so I will not make you suffer either. You just need to follow me on Instagram & Facebook and leave a comment below to tell me which glasses you would love to get from this list here. This giveaway will last 7 days. About the Prize; One pair of Firmoo glasses with free shipping to US from this same list above. Glasses include the frames, standard 1.50 index single vision lenses. Upgraded lenses and add-ons will be charged for an extra fee. http://www.firmoo.com/eyeglasses-p-2491.html, it is $39. I almost picked this one back to May but because there are a lot of bloggers already featured this same one, so I picked that orange frame one. http://www.firmoo.com/eyeglasses-p-3003.html, it is only $19. http://www.firmoo.com/eyeglasses-p-3059.html. I really love this style and color very much too. Just so chic! It is $26. http://www.firmoo.com/eyeglasses-p-2949.html Another one for color lovers. It is only $19. U.S. only. Winner is selected by Rafflecopter automatically and will be contacted via email, you must enter a valid email and must confirm receipt within 48 hours from the time and date emailed. This event is in no way administered, sponsored or endorsed by, or associated with Twitter, Facebook, Google, Pinterest or any other Social Media platform. No purchase is necessary to enter. Odds of winning are contingent on the number of entries received. You will have 48 hours to respond or prize is forfeited and a new winner will be selected. Void where prohibited by law. The SPONSER is responsible for shipping and delivery of the prize unless otherwise stated and the owners of Colorandgrace.com are not liable for prize delivery or receipt. You will hold colorandgrace.com harmless of all claims. All entries will be verified before winner is notified and any invalid entries will be disqualified. 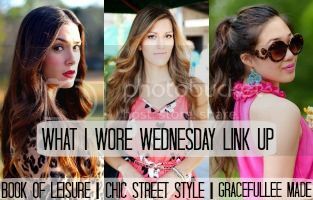 Good luck and don’t forget to join the fashion link up below! Here are more looks for today and have a great day everybody! Very stylish glasses, and they match your outfit perfectly. Have a great week, Grace! I adore those glasses on you! The blue ones you picked are super cute too! I am glad you won my giveaway and I am hoping to win yours now. Firmoo has gorgeous glasses currently. I love your orange ones and they look beautiful with that classy leopard shirtdress. Is that dress current? What a lovely dress Grace! I am so glad you finally got your hubby some glasses. You two are so cute! I love those frames on you! Thanks for the giveaway! You look so cute in those glasses! Love the yellow studded heels with the leopard. Hope the first couple of weeks of school went well. FIRMOO has really a wide range of choices – and it works with your outfits a lot! These frames look amazing on you!! I love the bold color you chose. Isn’t it fun to have a fun pair of glasses?! Love that you won your hubby a second pair. It was hard to pick just one! I really like V602, N010 and S5305. 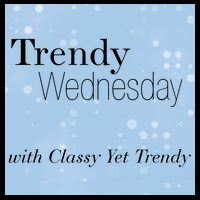 Glasses have become a staple item for me, so it helps to have affordable, yet stylish choices. I hope I win!!! What? I actually know someone that actually won one of these giveaways? I was starting to think the giveaways weren’t even real and just a way for people to get more followers as I never see who actually wins. I’m with you, I rarely enter giveaways as they are way too much work. And I don’t want to follow someone just for the sake of entering a contest. I want to follow someone because I like their content. Otherwise, my feed is too cluttered. I love all your outfits, as always! The leopard dress is gorgeous, and I love the distressed jean outfit with the moto jacket. Too cute! I am so with you on the ridiculous requirements for Instagram giveaways! I don’t like my newsfeed to be a mile long 😉 Anyway, I LOVE your leopard dress–my favorite color! I love that you chose a pair of glasses that stand out and look so bold and amazing on you! How awesome that you won a pair of glasses for your husband as well! Too bad I can’t enter as I am from Canada. Cool give away. Good luck every one. You look great doll! Never heard of the 9times the size of your head, wow. Those glasses are so cute! I am definitely entering this giveaway! Love your heels, too! Oh, my gosh! Both your glasses and the simplicity of your giveaway have me so excited! I follow Ada, too, and I’m not sure how I missed her Firmoo giveaway. How lucky you are to have won! I normally hate giveaways as they are just as you described – a complete pain and so time-consuming. I already follow you on Instagram and FB and am always so impressed by how put together you are. As for the glasses, I am swooning over #F1099. I also like #F044. Thanks for the link up and the giveaway! Awesome glasses! I don´t show it on my pictures but I wear always glasses! And it´s so true. Here in Germany I can not find glasses under 500 €. The frames are not that expensive but the glasses which are personally tailored to me. You look gorgeous!! Thank you for the linkup XO! How fun!! Thanks for an uncomplicated contest. *winking* Well I found a pair that I really would love to win. Item # NO18. Ivory. And so pretty. So here goes nothing. Thank you doll. And I LOVE your leopard dress . So chic!! Have a great weekend. I was just contacted by Firmoo to do a second review and I was so excited! I love the pair you chose, it goes with your face and complexion nicely… and it is such a fun pair! I love the turq pair you show a picture of, but I was afraid it wouldn’t look good on my narrow face. That leopard print dress is fantastic, too! Too cute, the story about your husband! I couldn’t pull those glasses off, but wow, Grace, you make them look fabulous! And I love how you’ve styled them in each and every photo! Very nice glasses! Lovely leopard print dress too 🙂 I’m definitely in agreement with you when it comes to telling husbands they’re right – it should only done when absolutely necessary or it goes to their heads! So wonderful this post . I have read your article and seen all photographs . Thank you for this post .